Beautiful supplies make journaling feel like a luxury. 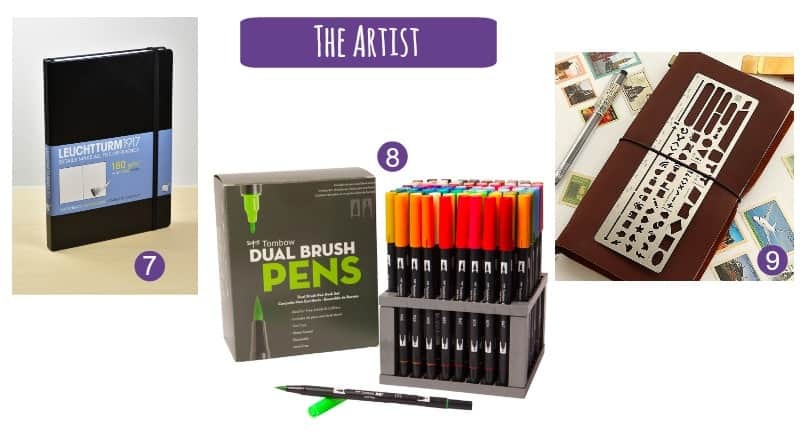 Whether they love bullet journaling, art journaling, or travel journaling, these gifts will be with them all year long. Done? Awesome. They’ll be happy to give you a gift you’ll actually use, and you won’t have to stand in line at the mall to return a yellow and red puffball sweater. Again. 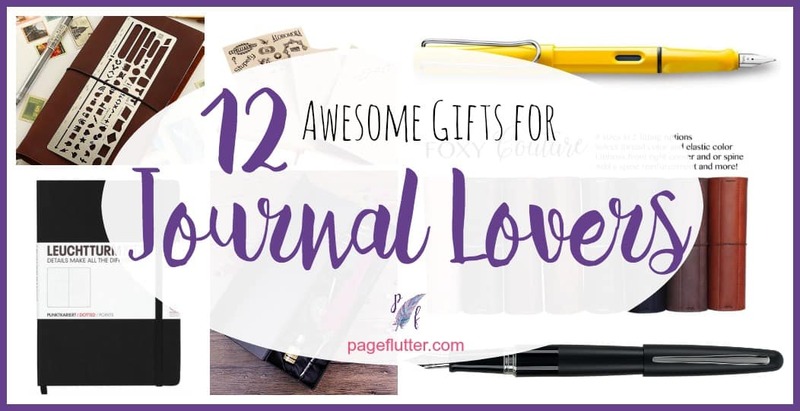 No matter your journaling style, I’ve got the goods for you–Oops. I mean, your loved ones. ‘Cause nobody here is stocking up on gifts for themselves. No, sir-ee! **UPDATE! : I think I drank waaaay too much coffee the day I published this post. 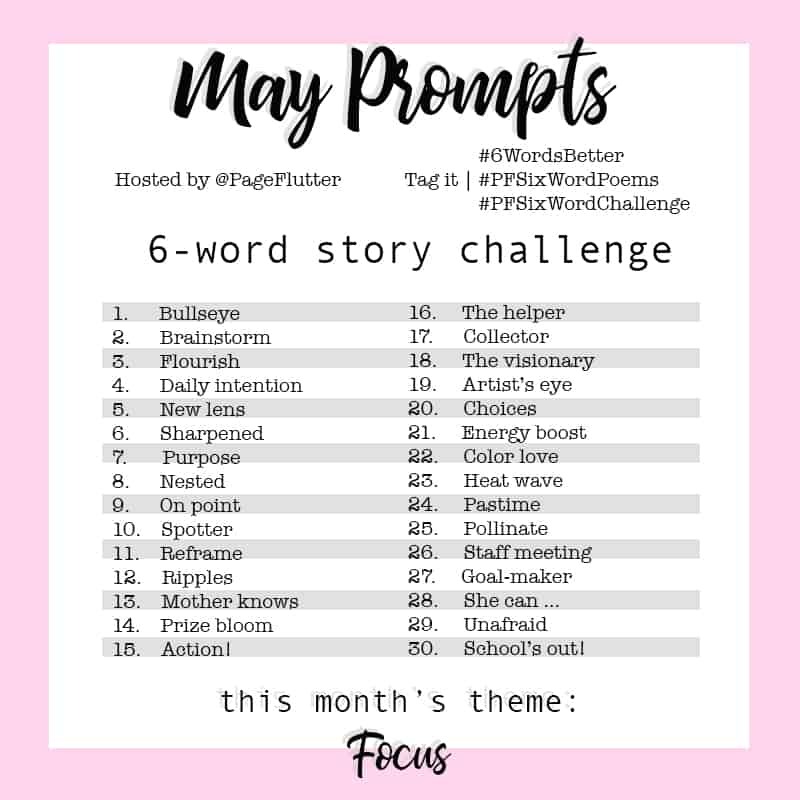 Thank you to two of my very generous readers who pointed out that I had originally left off #6, and swapped a couple of other items. You guys are amazing, and you keep me honest! Minimalist and uncomplicated, these journalists know quality makes a difference. They don’t ask for much but appreciate supplies that go the distance. **Many items on my list are available on Amazon, but I prefer J*B Welly. They’ve been my go-to shop for notebooks for over a year. A favorite in the Bullet Journal community, Leuchtturm1917s have velvety paper, lay-flat bindings, pockets, two ribbon markers, and they come in a rainbow of colors. Available at Amazon, but you’ll get much better customer service at J*B Welly. I’ve had a couple notebook arrive damaged from Amazon. Blackwing just came out with the dotted version of their Slate notebooks, and I knew I haaaad to include it here. Fountain pen users who find 80g Leuchttum1917 paper a bit thin will appreciate the 100g Blackwing paper. It also has a ribbon marker and built in pen/pencil holder on the spine. Available at J*B Welly. Fountain pens are for people who appreciate a smooth writing experience. Pilot Metropolitans are comfortable, stylish, affordable, and uncomplicated. You can’t go wrong with it. Available at Amazon & J*B Welly. These gifts are for someone who needs a bit more fantasy in life. 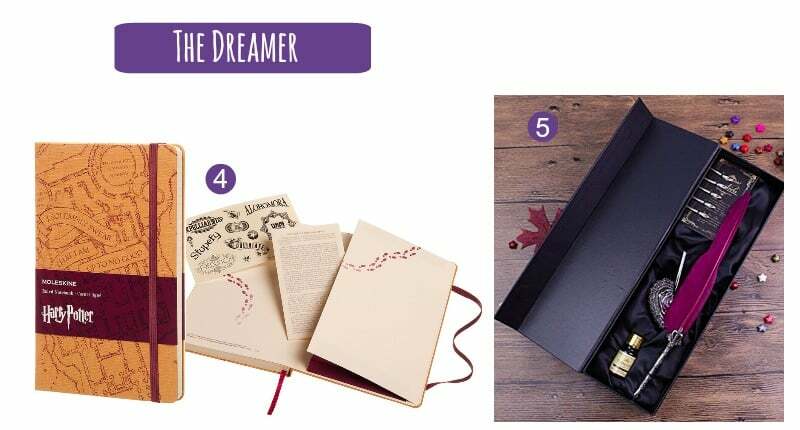 Whether recording goals, keeping a book journal, or jotting down ideas, these are a great choice for the dreamers out there. Moleskine just announced a Harry Potter special edition on Oct 27th. They’ll ship in time for the holidays, so get your orders in now. I’ve already ordered both the Marauder’s Map and Patronus versions, and I’m not ashamed! Available at Amazon. I don’t know how I stumbled onto this quill set on Amazon, but it’s gorgeous. The vintage feel adds a bit of nostalgia to modern journaling. Available at Amazon. First, I’m obsessed with these books. I’ve seen enormous improvements in my handwriting since I began following the program. The dreamers out there will appreciate the nostalgia and romance of using a penmanship program right out of the Victorian era. 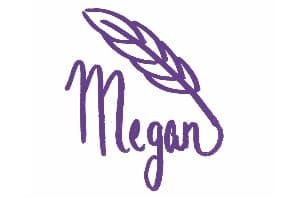 Hands down, it’s the best program I have found for adults wanting to improve their cursive for letter-writing and journaling. Some journals walk the line between being works of art and functional tools. Creative souls will appreciate the extra punch of visual appeal from these goodies. It’s from Leuchtturm1917, so it must be good. I don’t consider myself an artist, but there’s something about this simple black sketch book that calls to me. 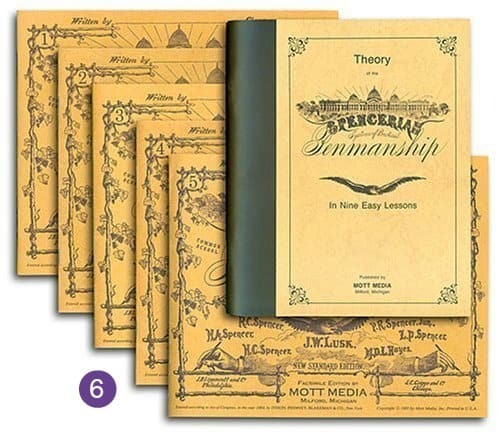 When I read Orhan’s Inheritance I imagined the grandfather’s precious sketchbook as a LT1917. Also available at Amazon & J*B Welly . Hand lettering enthusiasts and doodle artists all seem to agree on a good set of brush pens. The giant Tombow set with its own stand is the ultimate gift for those who enjoy dressing up their journal pages. Available at Amazon. Adding doodles and icons to your journal is much cleaner with the help of a stencil. They’re sold in every aisle of the craft store, but a metal one like this will last for years. Available at Amazon. This little ZIP printer is so cool! HP also has an equivalent called the Sprocket. 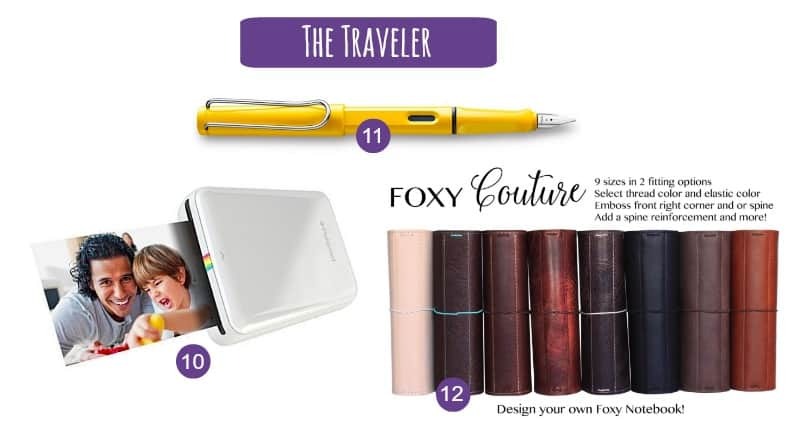 It doesn’t use any ink, so you can print photos from your phone wherever you are, stick them in your travel journal and write out your thoughts. The Fujifilm Instax is another popular option, but the function is a bit different. The Zip is a printer, the Instax is an instant camera. Compare them both to your needs and take your pick. The Lamy Safari is a great fountain pen for people on the move. It’s lightweight and durable, so you won’t every worry about tossing this pen around in your travels. Grab a bright yellow one from J*B Welly ; it’s easy to spot in at the bottom of your bag. Foxy Fix makes amazing leather covers. From standard narrow travelers to A5 size (for those of us who can’t give up our Leuchtturm1917 notebooks) and beyond. If you want to see these in action, head over to Pretty Prints & Paper. 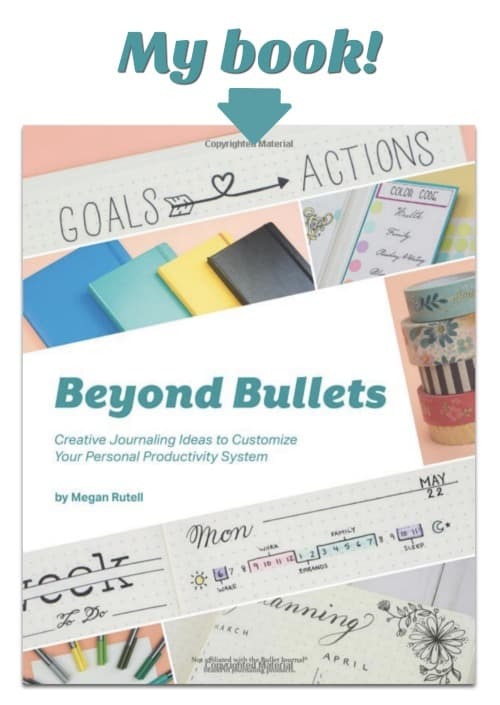 Jessica uses Foxy Fix in her customized bullet journal style. 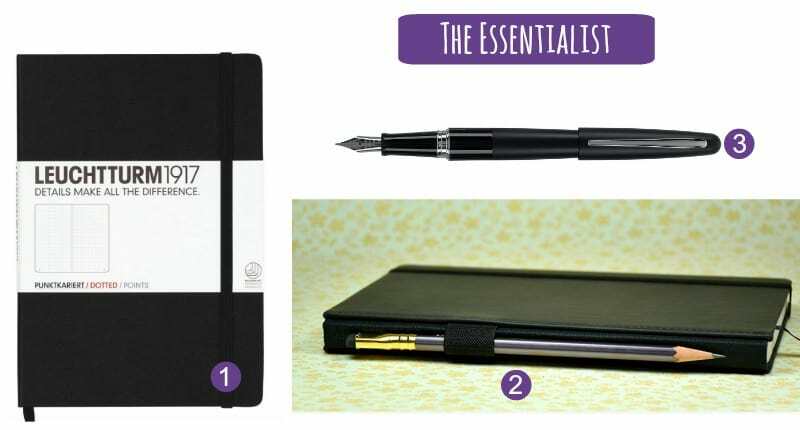 They’re perfect for travel because you can swap out the removable inserts (one per country) or use them year round to keep your schedule & journal sorted by category. Subscribe to my newsletter for Page Flutter updates, posts, and announcements. 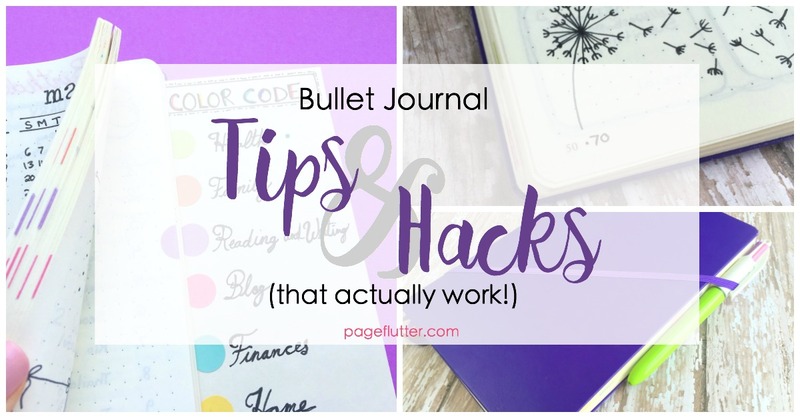 More bullet journal posts for you! You forgot to add number 6! If you can fix it up that would help, because I’m enjoying this article! Thank you for telling us about the Harry Potter books, as I’m really into Harry Potter! Thanks, Sophie! You’re awesome for helping me get it fixed. Everything should be in place now. Take care!